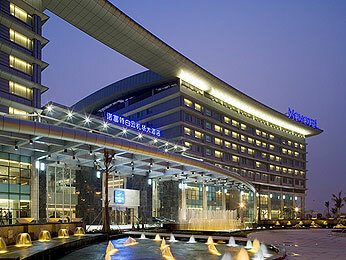 Novotel Baiyun Airport is located within Guangzhous new airport complex, 30 kilometres from the city centre. The hotel is of contemporary design and features 460 rooms, 4 restaurants, 3 bars, 2 tennis courts, a fitness centre, sauna, spa and heated swimming pool. State of the art conference facilities are also available for up to 500 delegates. Guangzhou is the historic capital of Guangdong Province and is only two hours by train from Hong Kong.